advantage of special sales and offers! 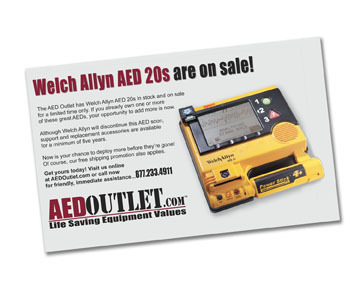 Subscribe to the AED Outlet newsletter to keep yourself up-to-date on special sales and offers. We will also keep you informed of relevant news related to your AED program. We will not sell or share your newsletter address with any third party.